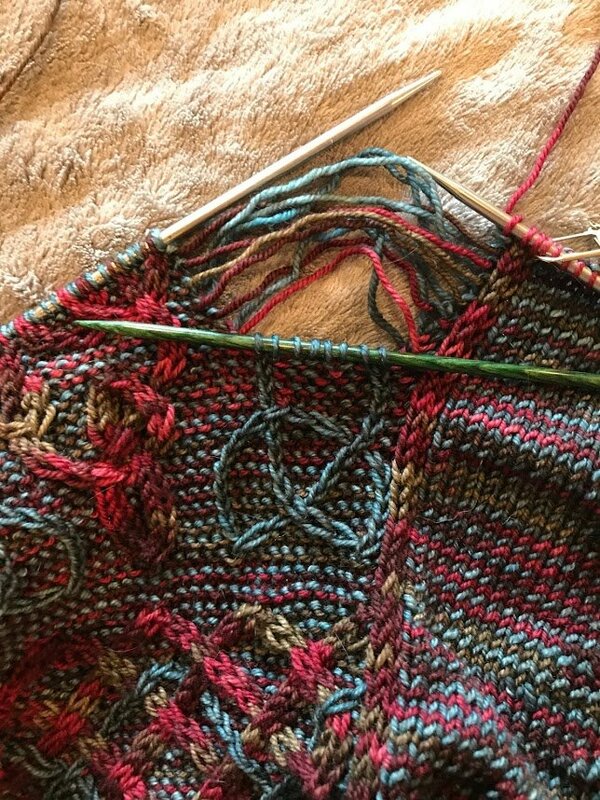 Since there is no such thing as knitting without making mistakes, it’s important to learn how to fix them, and not be intimidated by the process. In this class, we will learn how to identify mistakes, and how to fix them with confidence. We’ll also discuss the importance of learning to read your knitting so you’ll be able to prevent many mistakes before they happen, and fix them earlier. Cost: $35 (includes $5 registration fee and $30 class fee paid directly to instructor on day of class). Anyone who has been knitting long enough to make mistakes, and doesn't know how to identify or fix them! lecture, demonstrations, and hands-on. Photo shows DPN being used to fix a mistake on a complex knitting project. HOMEWORK: Bring to class a swatch, preferably on straight needles if you've got 'em, where you have CO 30 stitches and worked half of them in garter stitch and the other half in stockinette (so - Row 1: k30, Row 2 k15, p15), until piece is about 3” long. Do not bind off. Yarn should be wool, acrylic, cotton, or a blend of non-slippery fibers (no silk, bamboo, viscose or rayon yarns, please). Also, try to avoid very splitty yarn. Please bring a crochet hook that is a couple of sizes smaller than the needle size you are working with; I usually like a size D or E to fix mistakes with. DPN's aren't necessary to bring; I will show examples of how they are used to fix more involved mistakes.